In recent years, the health care industry has experienced unprecedented change. 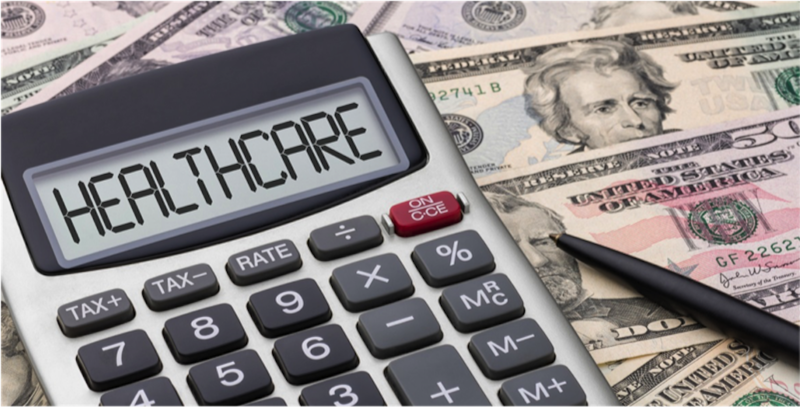 A recent report from the Department of Health and Human Services indicates that U.S. health care spending reached a new all-time high, booming to more than $10,000 per person this year. At Blue Cross and Blue Shield of Texas (BCBSTX), we recognize the impact of increasing costs and have made it a priority to control them in innovative ways while maintaining quality care for our members. For each dollar Americans spend on health care premiums, approximately 90 cents goes straight to paying for care. The largest portion, 39 cents, goes directly to hospitals, even if you never require care from a hospital facility. In my previous position as a hospital executive, I experienced the daily struggle of identifying the delicate balance of quality, accessibility and affordability. Financial incentives must be aligned and hospitals should be rewarded for sending patients home in better health, which is the ultimate goal of health care. Now serving as a health plan executive, I see the realities of health care costs through a different lens. It’s imperative to focus on improving health and delivery, but also in finding solutions to aid in reducing health care costs for everyone. Controlling costs is not a simple task and will require the combined effort of the government, insurers, hospitals, physicians and the general public to make a meaningful impact. We work on behalf of our members to negotiate the best possible prices for services offered by doctors, hospitals and other health care facilities. We are proud to offer quality, cost-effective health plans, like our HMO, which has continually resulted in improved health outcomes and high member satisfaction at a low cost. We’ve also taken steps to lower costs in pharmacy with our preferred pharmacy programs and new generic formularies. We have worked hard with providers to keep costs contained, while still maintaining a comparatively robust selection of doctors and hospitals in our networks in the state. BCBSTX is stepping up with creative solutions to raise expectations and shift incentives away from a model that rewards volume to one that rewards value. This value-based care movement can reduce unnecessary costs and help spark change in our industry. We want our members to receive the best health outcomes for all the dollars spent on their care. Our experience has shown that value-based care models must be tailored to reflect the different providers that exist in Texas. Each day, we work closely with doctors and hospitals in Texas through a variety of value-based care arrangements to align incentives for them to provide quality care for our members. Our broad portfolio of models meet providers where they are, in their local environment ─ from hospital-based accountable care organizations and centers of distinction for specialty services to physician-centric programs like TMA PracticeEdge and Bridges to Excellence. These arrangements share risks, align incentives and deepen our collaboration for the benefit of our members. Health care consumers are playing a more active role in their health care in order to obtain the best possible care at the lowest cost. Having a better understanding of where to go for medical help could empower consumers to effectively save time and money. Our "Where You Go Matters" flier educates consumers on the appropriate places to go for the care they might need, with the understanding that different providers can charge varying amounts for the same procedure. The lack of cost transparency has also led BCBSTX to offer tools that help consumers shop around for a procedure and compare provider quality and general affordability. Consumers should be able to shop for health care as they shop for anything else. In other industries, most consumers don't hesitate to compare prices, quality and brands on personal items. The way individuals shop for health care should be no different. As the health care system continues to go through significant changes, it's important for patients to have options that help them better understand health care decisions — for themselves and their families. BCBSTX also offers transparency tools for our members, like the Benefits Value Advisor, an enhanced Provider Finder and a Cost Estimator. This helps members receive "smarter" care. Health care that is smarter reduces inefficiencies and gives patients and their physicians the right tools to realize better health. As BCBSTX strives to create bolder strategies for the future of our health care system, we must remember that we are all in this together. Our goal is to continue working with key stakeholders in the industry to contain costs, improve outcomes, increase quality, and enhance the customer experience. As a customer-owned organization, we remain committed to pursuing real industry change that benefits all Texans. Blue Cross and Blue Shield, Texas’ only statewide, customer-owned health insurer, is the largest provider of health benefits in the state. BCBSTX is a Division of Health Care Service Corporation, a Mutual Legal Reserve Company and an Independent Licensee of the Blue Cross and Blue Shield Association.